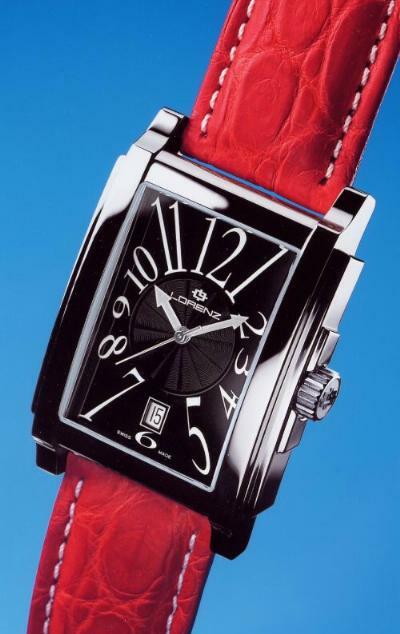 Measuring 47.5mm X 33mm, this big watch from Lorenz, the noted Italian watch company, features a quartz movement and mineral crystal. It is water resistant to 50 meters. The back is secured to the case using four screws. It is available on a bracelet or with a strap. MSRP starts at 230 Euros.